Anybody want to see John with Arthur's small Guarma satchel? 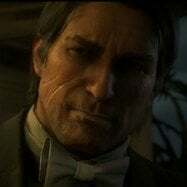 And for all you John haters out there, how about an ending where John dies of TB or gets killed by Micah? Spot on and the cheats they they themselves put into the game can still not be saved like they were in the previous game. They don’t even mentio singleplayer anymore unless it’s to reel people in only to buy the game and be vastly disappointed with that bullspit tacked on Mode they are pushing as the online for the game! A little offtopic, but what outfit is John wearing here? 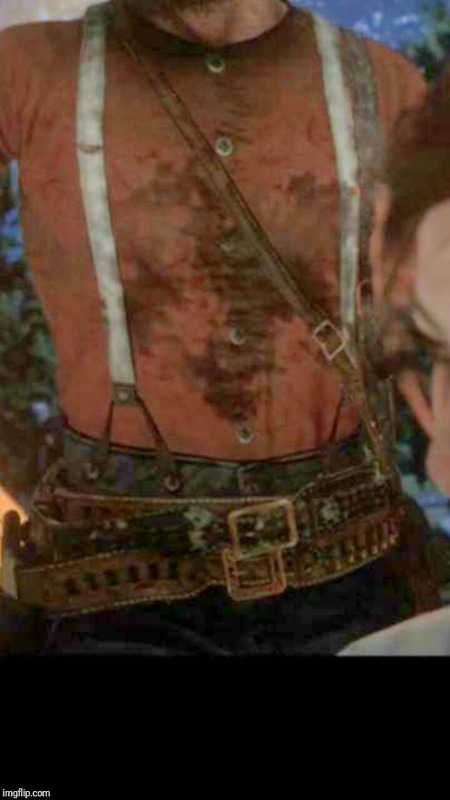 And well he’s wearing a double breasted vest which is exclusive to RDO, what a surprise! 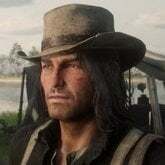 A beta version of John's pistol belt that more closely resembles his actual RDR1 pistol belt is still in the game. 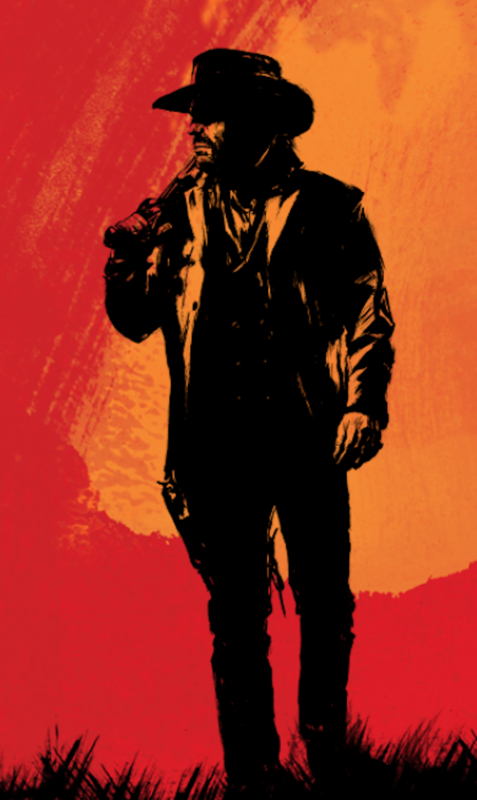 You see it in the ending cutscene for Jim Milton rides again. It's a shotgun coat though. You see the tattered ends at his legs. Can you send a pic of this belt? They look like the straps of the holster, the ones that wrap around the thigh. They look like the straps of holster, the ones that wrap around the thigh. Tne coat that John is wearing in the artwork appears to be Arthur's "Wool Frock Coat". Any way, I'm experimenting with version 1.06 and.... Jesus Christ it makes me want to puke....AND John's massive gloves makes me want to punch whatever developer thought this was a good idea in the face. I am stuck on that version. I have Disc for Xbox One. Damn dude. I feel sorry for you. I really do. Your stuck on the WORST version ever of the game with no option to downgrade. You can't. Rockstar has implemented DRM into the Xbox One copies for God knows what reason. Some people are lucky enough to be able to downgrade the Xbox One version somehow, but the vast majority can't. 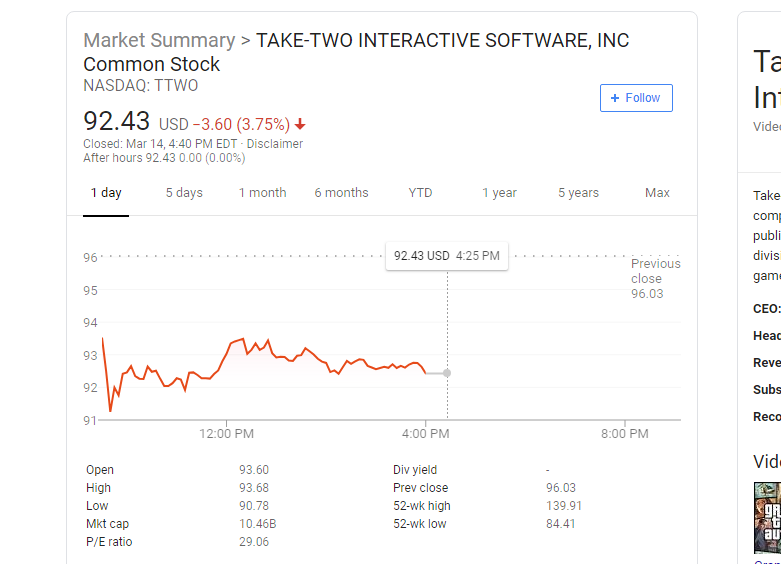 what do you mean "im not sure how long it will last tho"
I'm waiting for the game to get cheaper to buy It used from someone(phisical copy). I've found for half the Full price already, but It still expensive as f*ck in my country.